Riverside's Forrest Gunther takes a swing during the game with Myrtle Point on Monday afternoon. BOARDMAN - The Myrtle Point Bobcats defeated the Riverside Pirates 8 to 2 on Monday, March 24, 2009. It was a cloudy day with a strong wind out of the west on Tuesday afternoon. Fans in winter coats huddled under blankets while they watched the game. The strong wind gave the players a challenge on the popups and long fly balls. Myrtle Point scored a run in the top of the first. The Bobcats scored two more on a long hit to center field to take a 3-0 lead at the end of two. Myrtle Point drove in a run in the third for a 4-0 lead. The Bobcats drove in two more runs in the top of the sixth on a base hit. The Pirates got their offense going in the bottom of the sixth. Harley Orcutt and another Pirate crossed homeplate on two separate plays just a few moments apart. That cut the Myrtle Point lead to 7-2. Myrtle Point scored one more run in the top of the seventh on a grounder which brought in the runner on third to give the Bobcats the 8-2 lead. 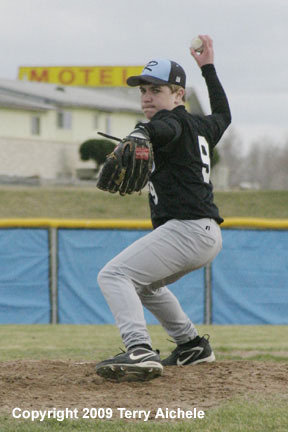 Evan Keefer pitched the first six innings for the Pirates. Cody Connell closed out the game for Riverside. 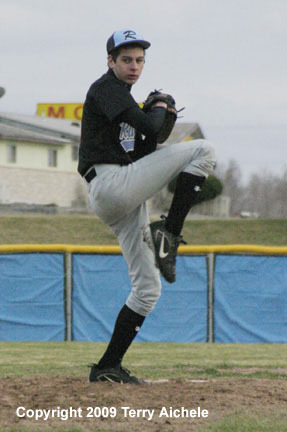 LEFT - Riverside's Evan Keefer started the game and pitched six innings. 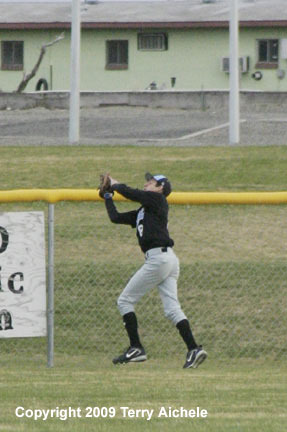 RIGHT - Outfield Cody Connell of Riverside races to catch a fly ball. 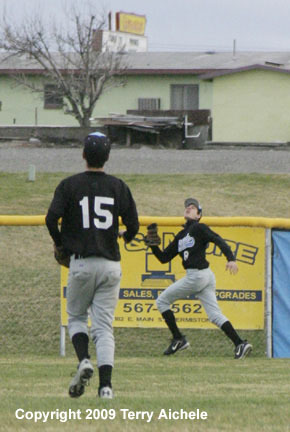 LEFT - Cody Connell of Riverside makes the catch. 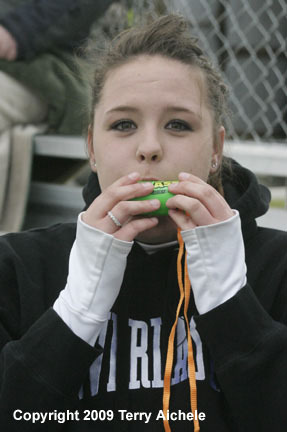 RIGHT - Jordan Connell demonstrates a little whistle that sounds like the blast from an air horn. It's a cool little gizmo. She said it only cost one dollar. 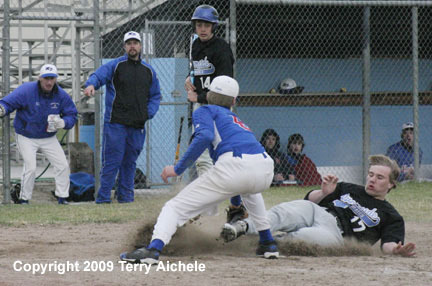 LEFT - Harley Orcutt slides in safe as one of two runs scored by Riverside in the sixth inning. RIGHT - Cody Connell moved from the outfield to pitching for the Pirates in the seventh inning.